Are you looking for support to fund a community project in Caithness? 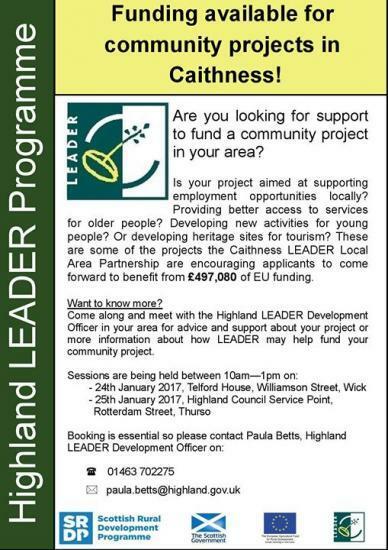 Highland LEADER Programme has funding of £497,080 to allocate to projects in the area, and will be hosting information sessions in Wick and Thurso on 24th & 25th January respectively. For more information and to book, contact Paula Betts on paula.betts@highland.gov.uk / 01463 702275.